Halloween is a contemporary version of an ancient Celtic holiday called Samhain, a celebration of the last harvest, the end of summer and for them, the first day of the New Year. The Celts celebrated the beginning of the New Year on November 1 because it was the mid-way point between the Autumn Equinox and the Winter Solstice. The Celts believed on the night before the New Year, the veil between the worlds of the living and the dead became blurred. 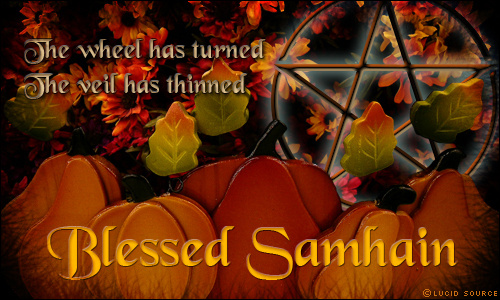 Samhain thus was a strange event that occurred on the night of October 31. The people believed it was a time that the spirits of the dead returned to earth. When Christianity swept Europe and reached its tentacles into Ireland and Scotland, the Celtic people not only adopted this new religion, but the church strangely absorbed the Samhain celebration. Today the fundamental Christians want no part of Halloween and proclaim it profane. In the Seventh Century Pope Boniface IV declared November 1 All Saints’ Day, a time to honor saints and martyrs. It was said the pope was attempting to use the religious holiday to displace the Celtic festival of the dead. Instead of destroying it, the people of Ireland merely blended the two celebrations together, creating the All Hallows Eve. The big bonfires, costumes and tricks never ceased.